NV200 Campervan 12v Electrics – Do your dream! As we’re DIYing, we can do what we think is the best way of doing things, and not necessarily the cheapest. Some things if you buy the right things they just work and make life easier. 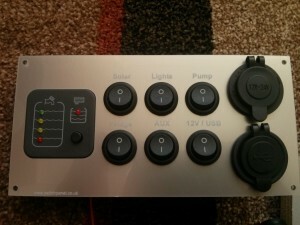 As such, we’ve bought the C-Tek D250s dual smart battery charger. This replaces all of the traditional split charge relay setup, negates the need for a separate solar controller, and negates the need for any other system to maintain the vehicles battery charge. 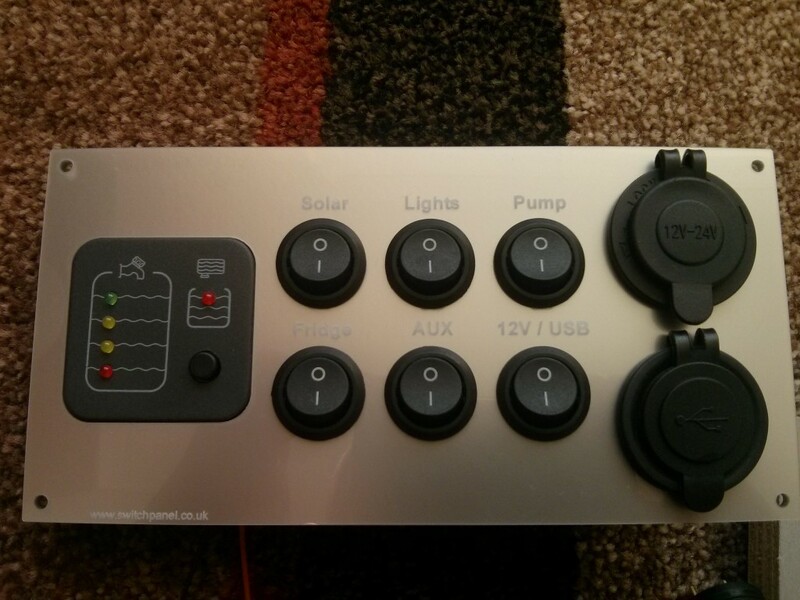 The c-tek may appear expensive, but actually takes so much hassle out of the setup it is worth doing for that, but as it replaces split charge and MPPT solar – its almost cost neutral. In simple terms – it links vehicle and habitation batteries through electronics (not relays) and has a Solar MPPT controller built in. It monitors all the connections and feeds power from one to the other as it sees fit – including 5-stage charging of habitation battery and providing a maintenance charge to the vehicle battery. The only thing we then need to add is a 240v charger. See http://www.ctek.com/Archive/ProductPdf/D250S%20DUAL_EN.pdf for full product info. To monitor the battery, most people use a voltmeter which is inaccurate at best. So, we’ve bought a NASA BM-1 compact unit which actually monitors the battery capacity, voltage and current (A) – and calculates how much battery power is left. Bit of an overkill but would be very useful. Again, expensive, but knowing how much power we are using and have left will help us out a lot. We bought the compact one, but a different one is available. Wiring was bought mainly from 12v planet, but other bits from ebay. 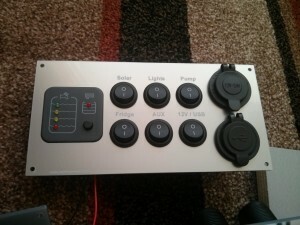 Fuse boxes from Megavan mats. The minimum size wiring I used was 2mm (20A) for low power stuff, 2.5mm for USB/12v sockets (30A), and 4mm for fridge and heater, 6mm for main feeds and 10mm for battery to battery charge. All well within power limits, but selected to make voltage drop acceptable. Batteries are earthed to the chassis via the battery monitor shunt. So, where convenient (e.g. 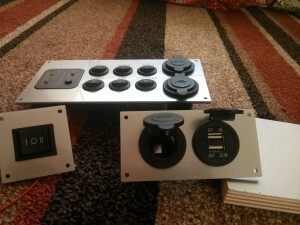 nearside 12v/USB socket) these are earthed to chassis rather than running 0v cable back. Just depends what is convenient at the time. Where wiring has joins, where possible these joins are made behind removable items (like lights). Terminal block or crimped connectors used depending on what is needed. Some wiring is run loose in voids (like roof struts), but where possible it is covered in convoluted shield. Where this can’t be used, it is used in entry/exit locations so that there is no chaffing.